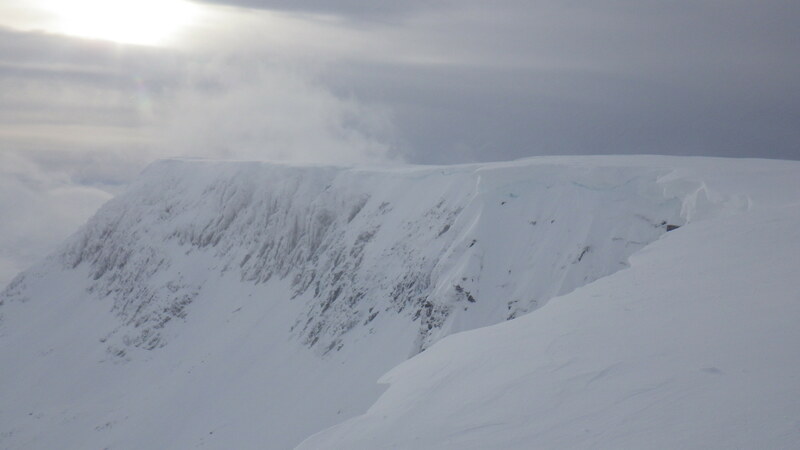 Strong and increasing South-East winds today were redistributing quite a lot of snow. This made conditions feel challenging but it did remain dry until the afternoon with reasonable visibility. The video below shows conditions at 1150 metres. Carn Mor Dearg with Ben Nevis behind. 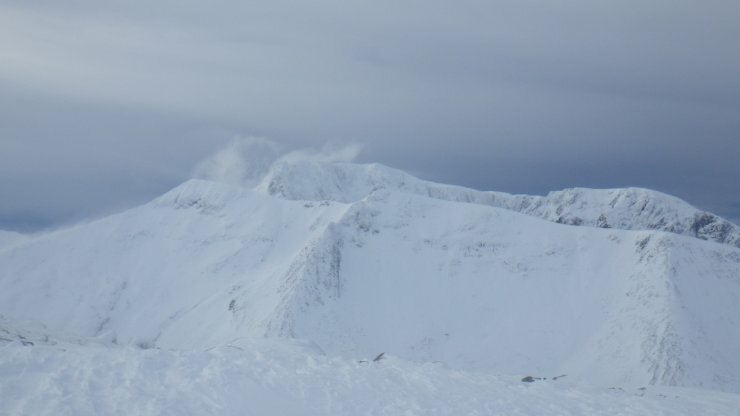 What looks like cloud near each summit is actually blowing snow. 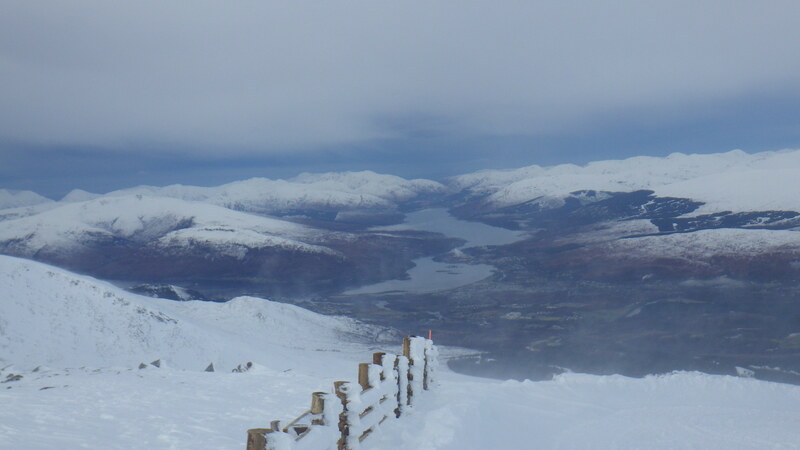 Looking West from Aonach Mor.